Around 1% of the UK population suffers from coeliac disease, a serious auto-immune condition in which the body mistakes substances in gluten for threats, and attacks them, damaging the surface of the intestines and thus the ability to absorb nutrients. Being diagnosed coeliac means cutting out a lot of the foods you love, but the good news is that the food and drink industry is reacting positively to rise in this condition and last year, the global sale of gluten-free foods jumped 12.6% to a whopping $3.5bn. For those of you who currently follow the Nutritious Lolly 6-week Whole Body Plan, you’ll know that I’m all about adopting gradual changes to your lifestyle over the long term, rather than dieting…with nothing banned. Life is about enjoying everything in moderation, so what would you do if you loved the occasional craft beer now and again, only to be told that not a drop should pass your lips ever again? Drink cider? Wine? How about one of the ‘alternative’ gluten-free beers on the market made with millet or buckwheat? 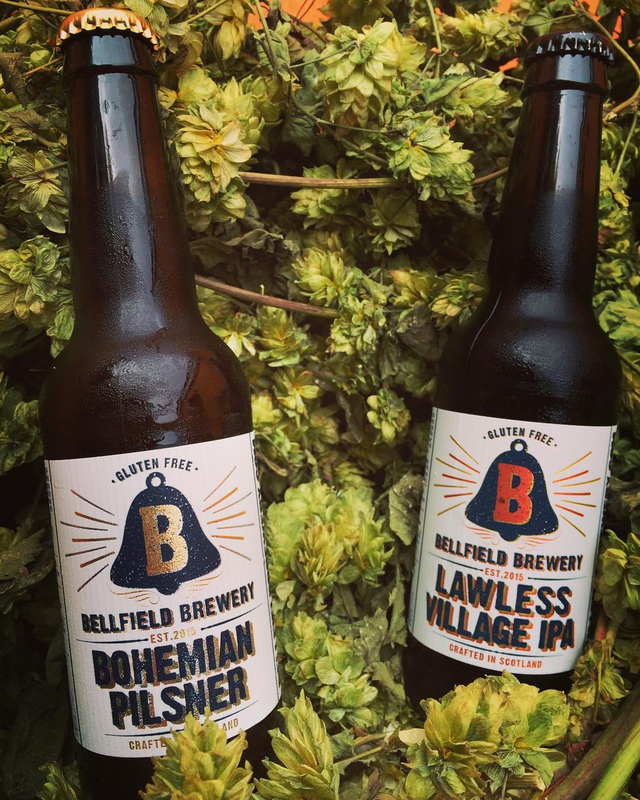 Well, that was the dilemma faced by the founders of Bellfield Brewery who decided that if they couldn’t find a decent gluten-free beer…they’d brew their own instead! 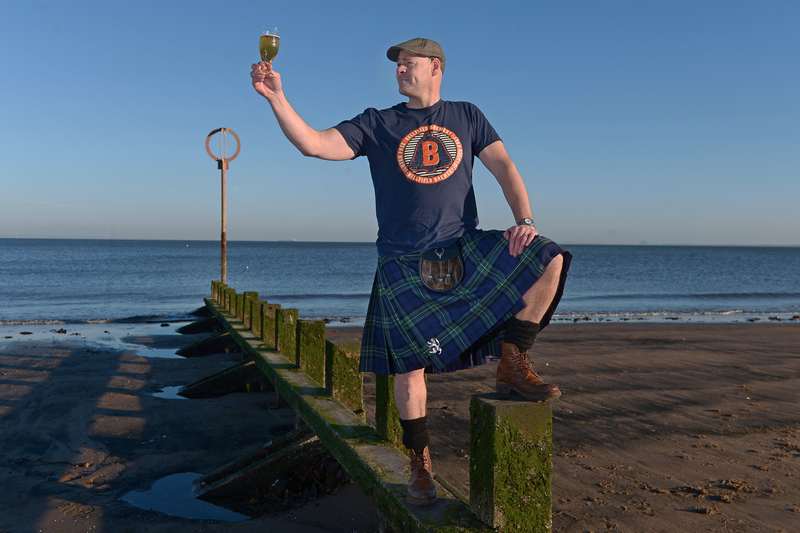 The family-owned company launched in Portobello on the east side of Edinburgh less than two years ago and since then it has shaken up the gluten-free craft beer market with rip-roaring success at home and abroad. Bellfield beers can now be found in bars and restaurants throughout the UK, in many independent bottle shops, and a in host of supermarkets including Asda, Scotmid and 75 Aldi stores across Scotland. The company currently has two craft beers available in bottles and on draft – a light refreshing, Bohemian Pilsner, and a lovely citrusy IPA called Lawless Village – both of which have won a heap of accolades including silver and gold respectively in this year’s World Beer Awards. The Bohemian Pilsner has been listed in the Metros’ 11 Best Gluten-Free Beers and Lawless Village IPA has been named in the Independent’s 10 Best IPAs. What’s remarkable about the latter is that the list is not referring to gluten-free beers. This means that Bellfield’s IPA can stand up there with the best craft beers available today… even though it’s certified as gluten free! The company aims to brew craft beer for all – and it certainly seems to be achieving it. As a nutritionist and fitness consultant, I’m not advocating that you start downing pints of beer as part of your 6-week Whole Body Plan but, a little of what you fancy does you good and it’s great to see a local company leading the way. Bellfield Brewery is destined for great things and I wish the company every success for the future.